Shares in Freeport McMoRan Inc (NYSE:FCX), the world's largest listed copper miner, were hammered on Wednesday after the US company announced fourth quarter earnings below expectations and warned about problems at its flagship mine in Indonesia. Freeport was trading down 6.4% with nearly 50 million shares having already changed hands by 1pm in New York, making the counter the second most traded on the day. The Phoenix-based miner is worth $23.6 billion on the NYSE and even after today's pullback boasts a four-fold increase in market value over the past year. 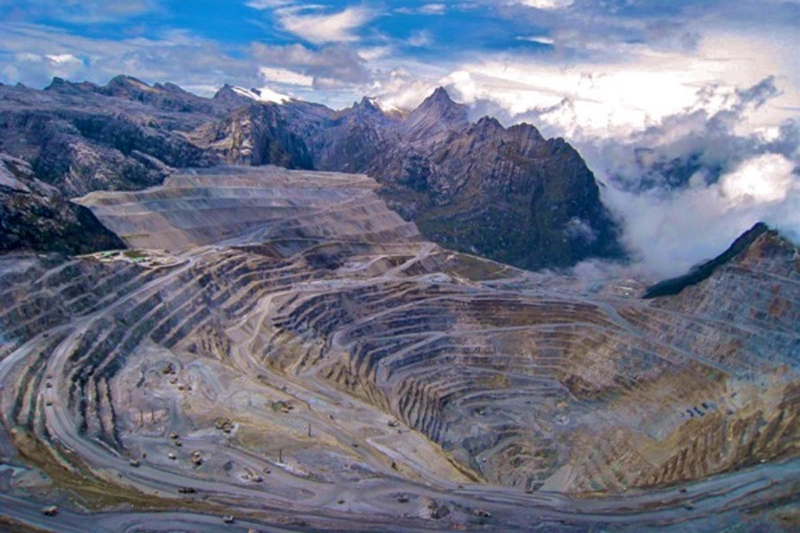 In a statement accompanying the financial results Freeport said it had not received approval to ship copper concentrate from its Grasberg mine as of Wednesday and in the absence of a permit, production at the mine Indonesia's Papua province would drop to roughly 40% of capacity. A ban on concentrate exports from Indonesia kicked in on January 12. Grasberg boasts some of the world's largest copper and gold reserves and Freeport said it may have to suspend planned spending of around $1 billion per year through 2021 to transition the mine to underground operations unless exports can resume. Freeport said consolidated sales volumes from Indonesia mining operations assuming normal operations, including the resumption of concentrate exports in February 2017 and the renewal of its smelters export license are expected to total 1.3 billion pounds of copper and 2.2 million ounces of gold for the year 2017. That compares to with 1.05 billion pounds of copper and 1.05 million ounces of gold for the year 2016. But for each month of delay in obtaining approval to export, the Indonesian subsidiary's share of production is projected to be reduced by approximately 70 million pounds of copper and 100,000 ounces of gold according to Freeport. Freeport posted revenue of $4.4 billion for the fourth quarter and net income of $292m compared to a loss of $4.2bn in the same quarter 2015 due to writedowns on its oil and gas businesses. Annual revenues came in at $14.8 billion and losses for the year amounted to just over $4 billion, or $3.16 per share. Freeport said sales totalled 1.2 billion pounds of copper, 405,000 ounces of gold and 22 million pounds of molybdenum for Q4 2016 and 4.65 billion pounds of copper, 1.1 million ounces of gold and 74 million pounds of molybdenum for the year 2016. Consolidated sales for the year 2017 are expected to be around 4.1 billion pounds of copper, 2.2 million ounces of gold and 92 million pounds of molybdenum, including 1.0 billion pounds of copper, 460,000 ounces of gold and 23 million pounds of molybdenum for first-quarter 2017.